The church is a group of God’s elect (cf. Rom 8:33; Eph 1:4; Col 3:12; 1 Thess 1:4; 2 Tim 2:10; Titus 1:1; 1 Pet 1:1-2; 2:8-9; 5:13; Rev 17:14). As we have seen previously, Israel is another group of God’s elect. The real difference, however, between Israel as God’s elect and the church as God’s elect, is that while not all Israelites were regenerate, every member of the church is. Of course, this is only true of the invisible, universal church of God; not the visible and physical “church” down on the street corner or identified by some denomination. All people who are spiritual members of God’s church are elect. In looking at the election of the church, it is important to recognize the similarities between God’s election of Israel and God’s election of the church. First, it is popular in some circles to say that since Israel failed in her God-ordained mission to the world, the church has replaced Israel as God’s chosen people. Though Paul seems to hint at this sort of idea in Romans 9–11, I believe that this is not what Paul is teaching there, and that Israel was not set aside, nor did Israel fail in her mission. Let me present the problem differently. If Israel has been “successful,” how would the outcome have been any different? Would we not have the Bible? Would Jesus not have come? Would Jesus not have died? Would the church not have been born? The only “failure” on the part of Israel was to recognize the Messiah when He came. But this was not exactly a failure in regards to her role as God’s chosen nation, but was a failure she shares with all people on earth who do not believe in Jesus for eternal life. Just as God desires for all people to be saved (1 Tim 2:4), God desires all Israel to be saved as well (cf. Paul’s sentiment in Rom 9:1-5). So the only “failure” of God’s chosen people Israel was that they failed to enter into God’s elect church when it was formed. For vast numbers of Israelites, this “failure” continues to this very day, as it does for the majority of people on earth. So Israel did not fail in her God-given vocation. She succeeded. Through her came the Law and the Prophets, the promised Messiah, and the birth of the church, all of which are blessings to the entire world, which was Gods’ ultimate goal and purpose for Israel. Never! God’s election of the church is not due to His setting aside of Israel, but rather due to the fulfilment of His plan and purposes for Israel. The church is an outcome of the fruit of Israel’s success; not her failure. God never desired that all people on earth would become Israel. Israel is a nation with her own people, customs, culture, and laws. God did not choose them because their customs and culture was better than everybody else’s. No, He chose one group of people as a way to call all people to Himself. God never wanted all people to become Israelites; He wanted all people to maintain their culture and customs, just as Israel had, but do so in connection with Him. This new communion of people who live in connection with God is what we now think of as church. The church is God’s assembly of all people from every tongue, tribe, and nation who live within their own customs and culture as members of His family. Why did God choose Israel? Not to make the whole world Israel, but to make the whole world His. This helps us understand God’s election of the church. If we understand why God chose Israel, then we can also understand why God chose the church. If Israel’s task was to call all people to become God’s people, then this is the church’s task as well. Just as Israel was called to provide a witness and a testimony to the surrounding people about the goodness and graciousness of God, to be God’s voice, hands, and feet on earth, and to call all people to turn from their destructive ways and follow God’s righteous ways instead, so also, this is the task of the church (cf. Col 3:12; 1 Pet 1:1-2; 2:8-9). Israel was chosen to be a blessing to the world, and when the church lives up to its calling, it too will be a blessing to the world. 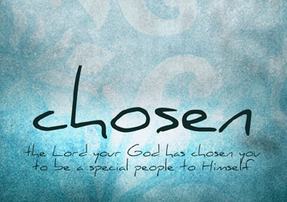 To be a blessing is the purpose for which God has chosen the church. 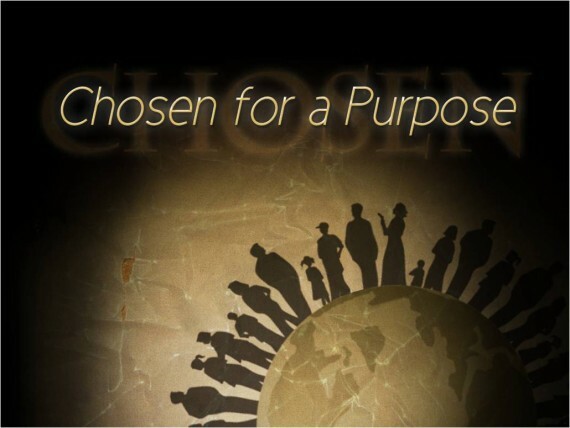 Furthermore, if we understand how a person became a member of Israel as God’s chosen people, then we can also understand how people become members of the church as God’s chosen people. How did a person become an Israelite? For the most part, they were born into it. So also with the church. We become members of the church by birth—not by physical birth, as was the case with the Israelites, but by spiritual birth; by being “born again” (John 3:1-8). And if one enters the church through the new birth, then this also means that one enters God’s elect people through the new birth. People sometimes think that Christians are members of the church because we are elect, when in reality, it is the other way around: we are elect because we are members of the church. By joining with Christ, the Elect One, through faith, we automatically become members of His Body, the church, and thus become numbered among the elect (Vance: Other Side of Calvinism, 379). We are elect only because we are in Him (Eph 1:4). This truth further leads to the proper conclusion about the relationship between election and redemption. Just as election does not lead to our membership within the church, but is rather a result of being incorporated into Christ’s Body, so also, election is not what leads to our redemption, but is rather the result of redemption. We are thinking of election backwards if we think that we are only in Christ because God first forgave and redeemed us. The truth of redemption and election is that we are redeemed because we are in Christ, and as a result of being in Him, we are elect. Christ is belittled if we think that God first forgave and redeemed us and then put us in Christ; we should rather believe that it is only in Christ that we have received redemption and forgiveness. 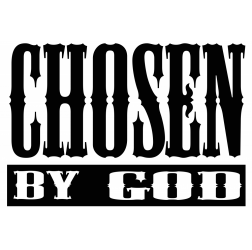 Christ is also belittled if we think that God first chose us and then put is in Christ; it is rather that those in Christ share in his election, and so are chosen in him. … When people enter into Christ then not only does his death become theirs, but his election becomes their election (Marston and Forster, God’s Strategy in Human History, 151, 154). The election of the church, then, follows the same patterns we have seen previously with the election of Israel and the election of Jesus. Election is not to eternal life, but to service. This is true of Israel, Jesus, and the church. In eternity past, God did not choose who He would unconditionally and irresistibly bring into His church, but rather, decided that all those who believed in Jesus and in so doing became members of His church, to them He would give the task of being a blessing to the world by sharing serving one another, declaring God’s grace, and loving others just as He has loved us. Jesus is the fulfillment of every promise made to Israel (the nation). We (the Church) who are in Christ now continue to fulfill that same promise because Christ is in us and we are abiding in Him. Yes. The election of the church is in Jesus Christ. We are elect because He is elect. Though the Church is a fulfillment, nevertheless, it is a separate entity. Right. Separate from Israel and from Jesus Christ (though united with Him). In a sense Israel succeeded by failing. Israel was involved in God’s rather strange project called the law which in fact guaranteed failure. The OT is part of redemption’s story and not a first go at salvation that went wrong. It is certainly wrong to say that because Israel failed God replaced her with a successful church. Instead we should say that Israel is no longer defined in ethnic and cultic terms (those born Jews who keep the law) but rather that it consists of all those (Jews and Gentiles) who believe in Messiah Jesus. Israel is not replaced but redefined. That’s a good way of putting it. They succeeded by failing, just as God intended. So the church is Israel now? Then are we to obey the Mosaic Law? Are we to build a Temple and worship in Jerusalem? I understand what you are saying, and I think I may agree with you, but this point of theology needs to be so carefully worded. Depends on WHICH ISRAEL, now doesn’t it? The Lord will establish you as His holy people, as He swore to you, if you obey the commands of the Lord your God and walk in His ways. Then all the peoples of the earth will see that you are called by the Lord’s name, and they will stand in awe of you (Deut 28:9-10). So then all the people on earth will know Your name, to fear You as Your people Israel do (…) and so that all the peoples of the earth may know that the Lord is God. There is no other (1 Kgs 8:60)! In their culture a priest was regarded as a mediator between them and God. Now they were chosen to fulfil the same role as a people (or nation) among the Gentile nations. So the nation of Israel’s role was that the world may know God. In Revelation’s image of the New Jerusalem, the names of the 12 tribes are inscribed on the 12 gates – the entrance. They are not replaced by the church. Excellent point there about the 12 gates. I do not think that the church replaced Israel either.